As you are, by now, no doubt aware, I had the great pleasure to get to Snorbens on Tuesday evening for a game of Sharp Practice 2 with Rich, Nick and the Lardy Development team, along with my fellow Podcast hosts, Mike H and Mike W.
We were playtesting Mike’s War of 1812 supplement, so had a chance to play with all of the lovely toys that Mike has been featuring on his Twitter feed in the last few weeks. It was a great night of gaming, followed by a good curry and chat – can’t be bad for a Tuesday! 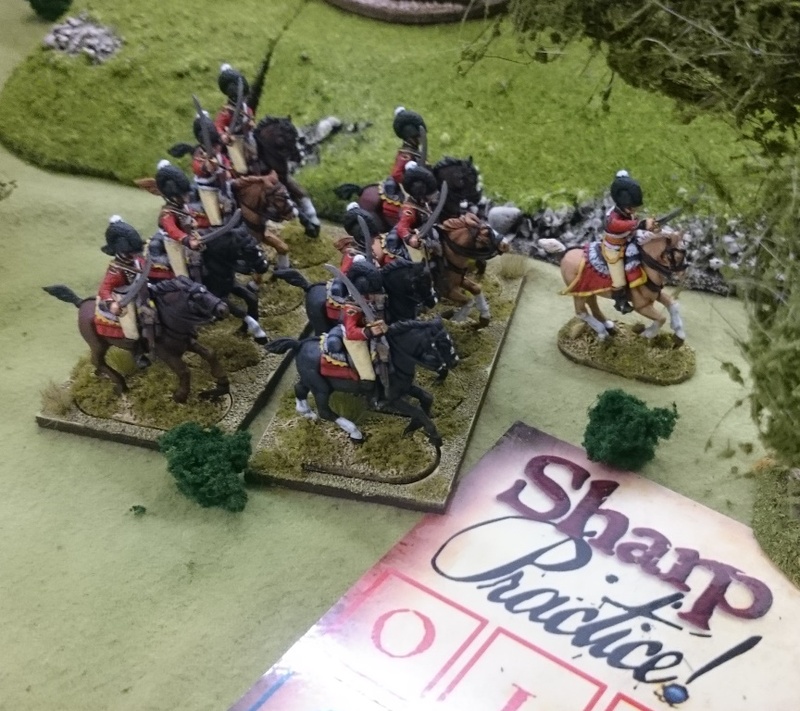 Mike has detailed the forces we used on his blog post, so I shall just leave you with some pictures of the battle. Incidentally, I’m impressed with Rich’s shape as shown in the first pic… TooSlimLardies from now on?